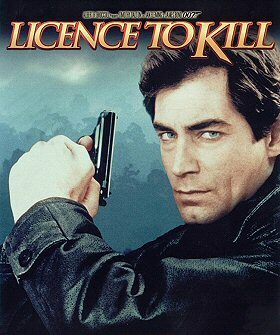 Spectacular James Bond adventure in which 007 relinquishes his licence to kill, disobeys his orders and goes on a mission of revenge when his best friend`s wife is killed by drug baron Sanchez. A beautiful CIA pilot flies him to Sanchez`s South American headquarters where, disguised as a hit man, Bond is hired by the villainous drug dealer. But before Bond can strike, his cover is blown and he is placed in mortal peril.